We’ve seen several different Samsung devices get software updates from T-Mobile in the past week, and now we know that a few more devices are getting updated. 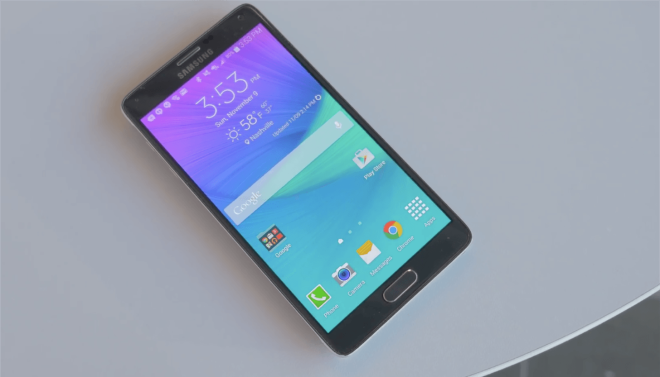 T-Mobile is updating its versions of the Samsung Galaxy Note 4 and Galaxy Note Edge. 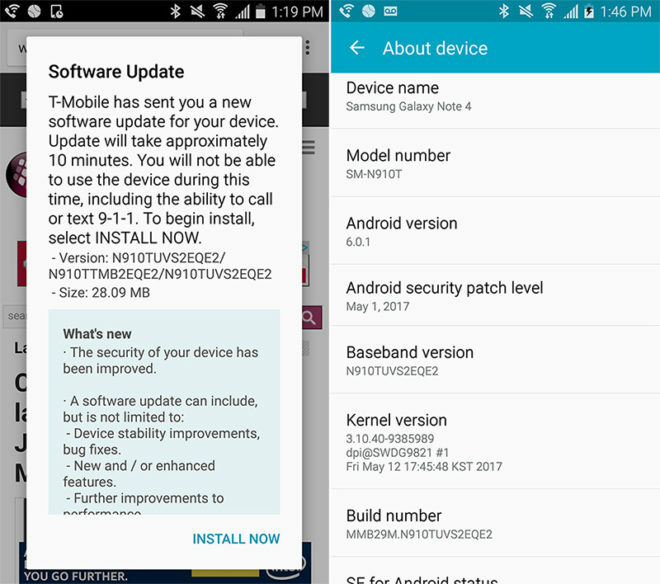 These updates bump the phones up to the May 1, 2017 Android security patch level, which is a welcome update since the last update the phones got left them on the March 1, 2017 security patch level. Meanwhile, T-Mobile is pushing an Android 7.0 Nougat update to its version of the Samsung Galaxy Tab S2. These updates are now rolling out over the air. If you’ve got a device that hasn’t yet been updated, you can either wait for the OTA to hit your device or you can go into your Settings app and manually check for the update. As far as Galaxy Tab S2, this is probably the first and the last Android os update that it will get. Spend $500-600 on an Android tablet and you will get 1 update for the life of your tablet. Ever since the marshmallow update my note 4 has been so messed up. If I didn’t no any better I think they are trying to fade this “last of the top​ dog like no other” great phones out because then you have to get a new one. I have to use a app to keep my CPU on a partial wake lock. If not it will shut down in a couple of minutes and good luck getting it to turn back on and I haven’t been able to apply any kind of update in over 6 months because the phone can’t reboot on its own. Ridiculous. Any news whether NOTE 4 getting 7.0 or not??? nope. you’re gonna have to install a custom rom.